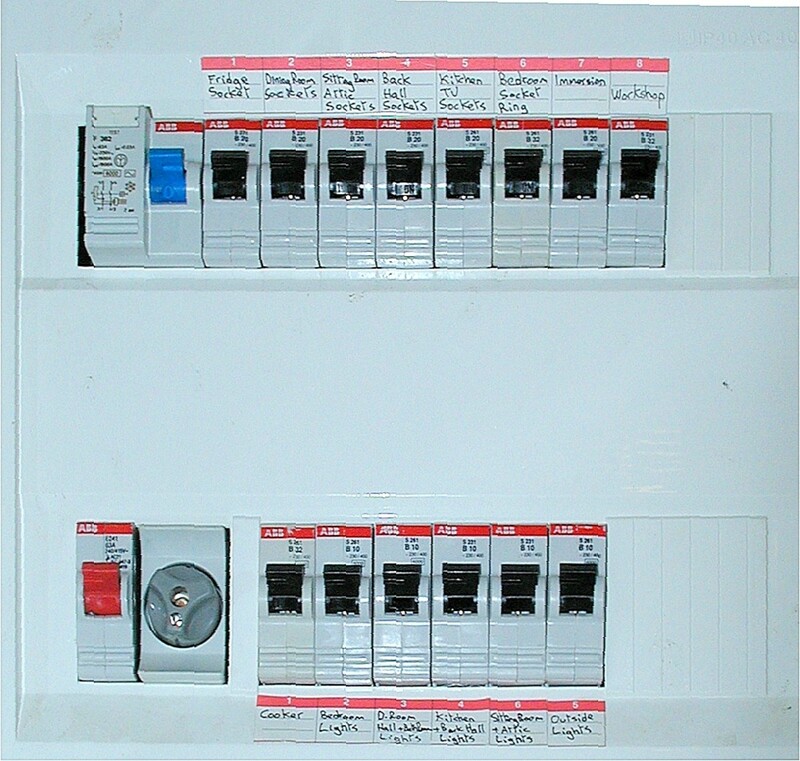 An electrical panel or breaker box is fitted with several Miniature Circuit Breakers (MCBs) and a Ground Fault Circuit Interrupter (GFCI), also known as a Residual Current Device (RCD). 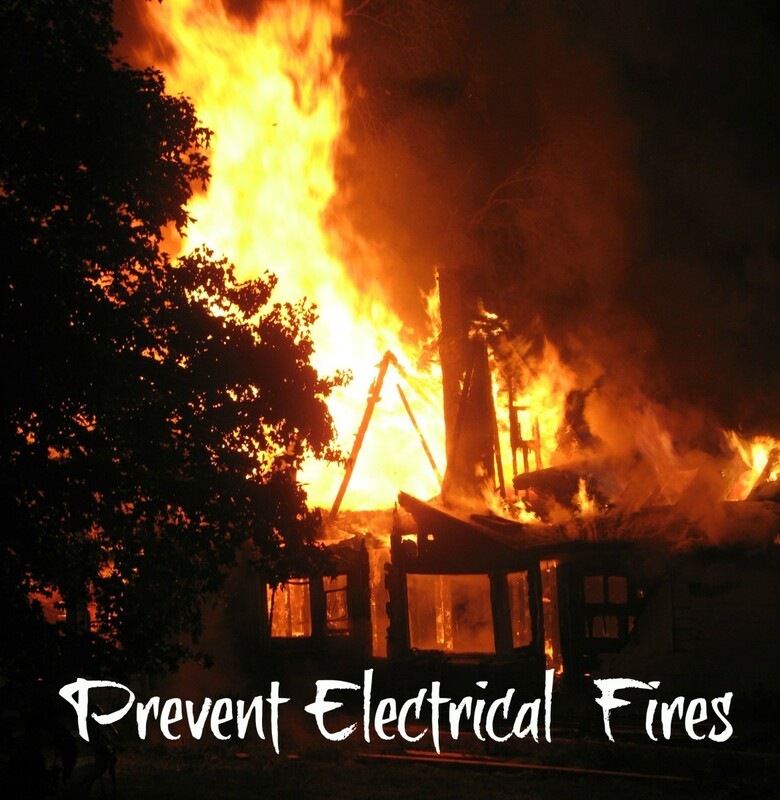 These safety devices help to protect you from being electrocuted in the event of a fault and also prevent overloading of wiring which can start a fire. What Is an MCB and a GFCI? 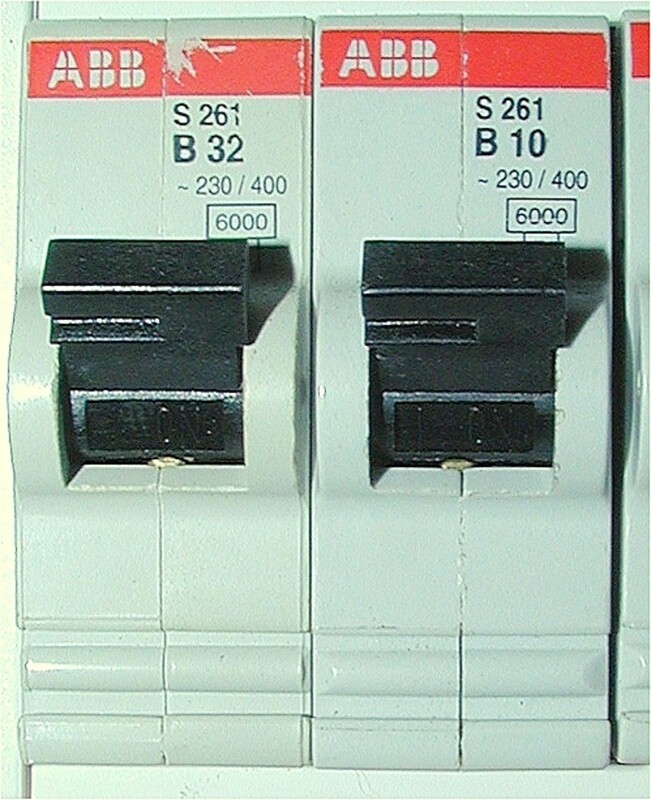 There are two types of breakers mounted in the electrical panel; MCBs (Miniature Circuit Breakers) and GFCIs (Ground Fault Circuit Interrupters). 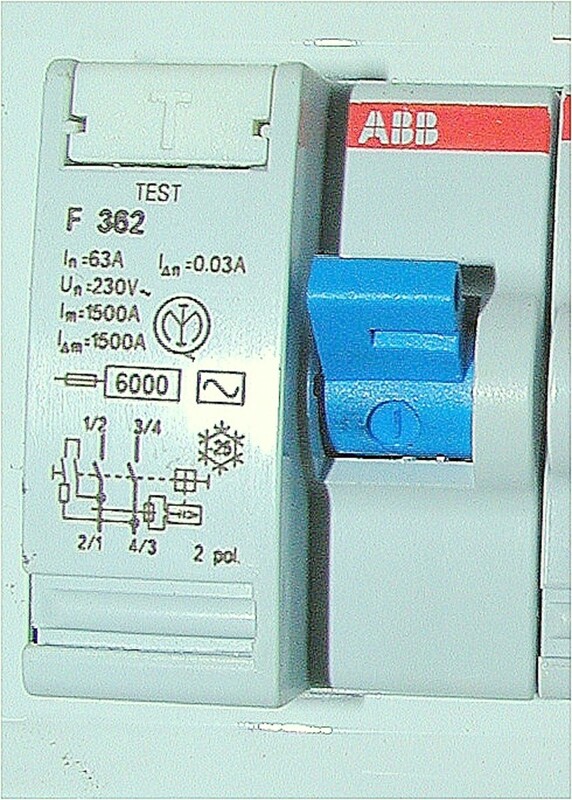 A GFCI is more commonly referred to as an RCD (Residual Current Device) in Europe. An MCB is an electro-mechanical device, and like a fuse, it acts as the "weak link in the chain". It will trip to protect cables from overload currents which can damage the cable or even cause a fire. A GFCI will trip and shut off power if there is a flow of current from hot (live) to ground (earth). 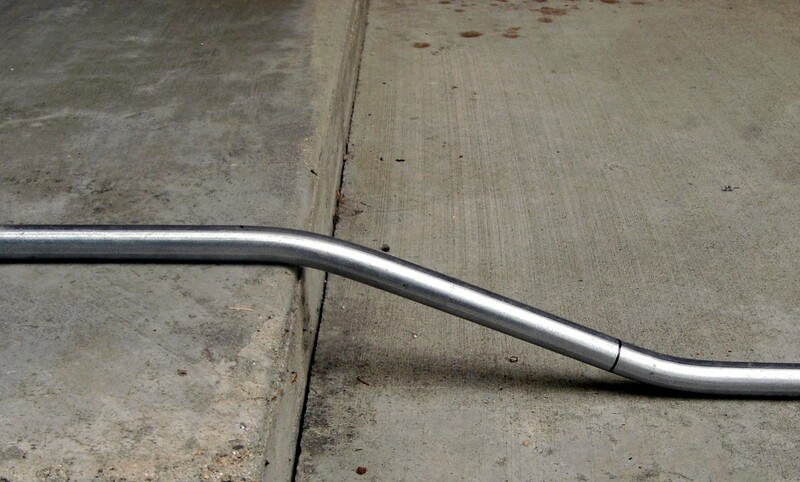 This can occur, for instance, when the connector of the flex of a kettle is left in a pool of water on the sink, when an appliance gets wet, you cut through the flex of a garden power tool, or there is a fault inside equipment (e.g. a cracked electrical element in a hot-water tank). 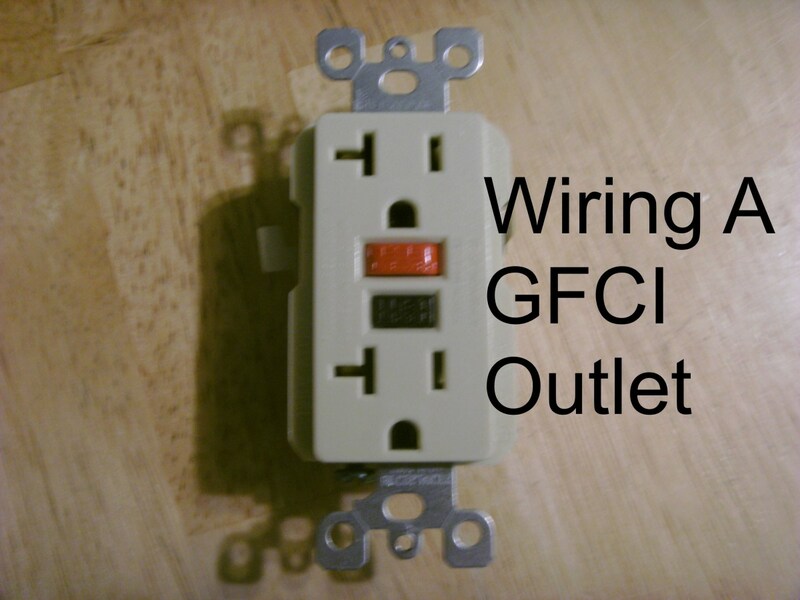 A GFCI can normally be identified because it is wider than an MCB in the breaker box and has a small test button on it. Connecting too many high powered appliances to an electrical circuit. In modern installations, there are usually lots of outlets and separate circuits for different sections of a home, e.g. upstairs and downstairs. 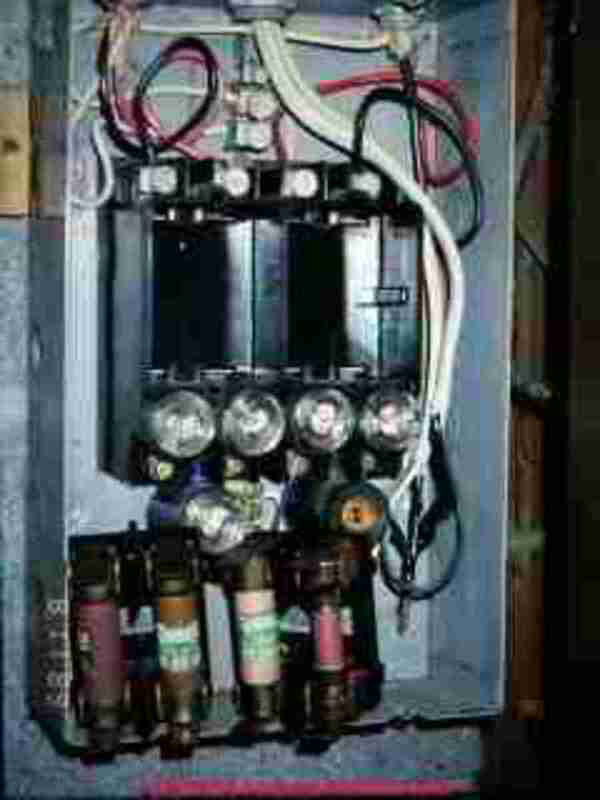 In a kitchen, there are usually at least two circuits. So there is less chance of an overload as power demand is distributed between circuits. In an older installation, however, this may not be the case. A fault in equipment causing a short circuit of current from hot to neutral. This could be due to insulation on a wire becoming compromised in some way. The exposed wire could then make contact with a neutral or ground conductor or terminal. Breakdown of the windings in a transformer or motor. Wire in these devices is usually coated with a thin layer of polyurethane varnish or similar so that lots of turns of wire can be tightly packed together. Over time the varnish layer can be compromised. This can be due to heating of the windings as the appliance is loaded e.g. when a power tool is used for a long period of time and isn't allowed to cool properly. Overheating softens and cracks the insulation and in addition, abrasion due to particles of dust being sucked through a motor, wears away the insulation of the coils. This eventually causes arcing to occur between adjacent turns. Once this starts to happen, the winding can go into meltdown, but hopefully the breaker will trip and save the day before the device catches fire. Power cord of an electric garden tool is cut through. The metal blades or teeth of the tool short hot and neutral together. You drill through a wall and hit a power cable. The drill bit shorts out hot and neutral and causes an overload. Alternatively since the hot in the cable touches the drill bit, this could provide a path to ground through the body of the drill. Nowadays many power tools are "doubly insulated". 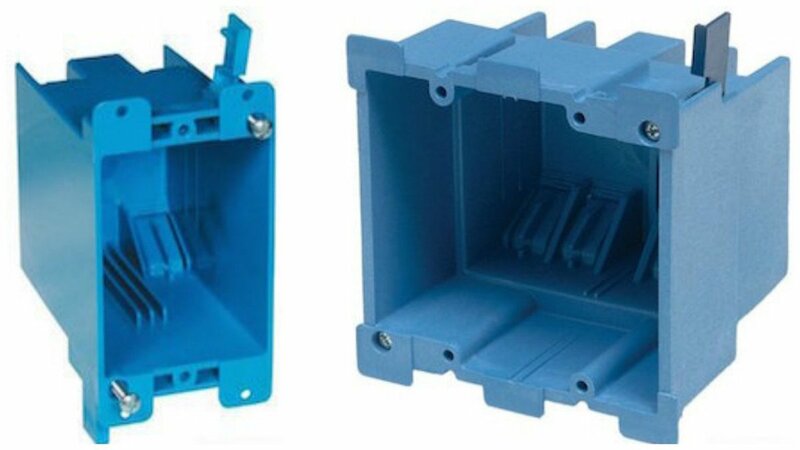 This means that even though the outer casing may be metal, sufficient insulating barriers are built into the tool so that the external metal casing cannot become live due to an internal fault. These tools or appliances are only supplied with hot and neutral via the power cord, and not grounded. Most power tools have a plastic body though for absolute safety in damp environments. Someone touches a live conductor. A current in excess of 30 ma flowing to ground through their body should trip the breaker. The cable of a garden power tool is cut through, If the appliance is grounded, the teeth or blade of the tool would cause a short circuit from hot to ground. Exposed wiring or terminals inside an appliance touch the metal body of the appliance. The outer sheath of the element in a kettle, hot water tank or washing machine becomes cracked. This allows water to seep into the powder which insulates the heating wire from the sheath, causing an electrical leak to ground. How Do I Reset the Breakers? If an MCB trips, the first thing to check out is whether you are pulling too much power from the circuit, e.g. from having multiple high power devices such as kettles, heaters etc plugged in. Usually though, circuits are able to supply many kilowatts of power and it's more likely that there is a fault in an appliance or lighting circuit. 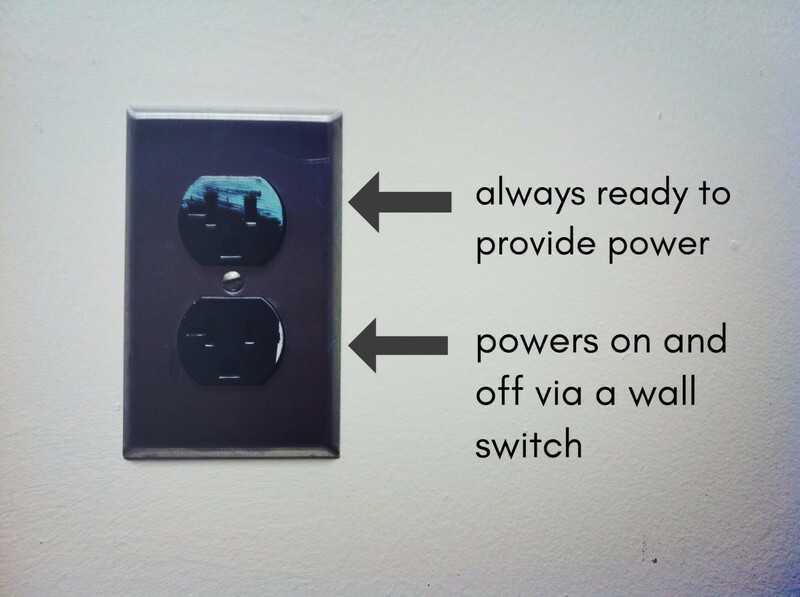 Ideally you should know which MCB supplies each circuit/socket outlet in your home. If you don't, by a process of elimination, identify what is causing the fault. Power down all your appliances and try to reset the breaker. If it doesn't reset, the breaker itself could be faulty or there could be a fault in your home wiring. If the latter is the case or if the breaker trips again even with no appliances or lights powered on, it's important to leave the breaker off as the fault could be due to faulty wiring which can potentially start a fire. If it does reset, power up appliances one by one (or switch on lamps) until the fault re-occurs. A fault in the appliance could be caused by an internal short circuit, a burnt out motor etc. The system for resetting breakers is different in the US and the UK. In the U.S., a breaker can be in one of three positions, off, on, or midway if it is tripped. On can be left or right depending on your box, so if you look at the other breakers, you can identify which way is on. With two sets of breakers, "on" is normally when the breakers are pushed towards the center of the panel. The tripped switch can be identified because it will have flipped to the central position. To reset, push to the off position first and then to the on position. In the UK, breakers are on when pushed up and flip down when tripped. These can be reset by simply being pushed back up again. If more than one appliance was plugged in, by a process of trial and error you need to establish which appliance is causing the problem by plugging them in one at a time and switching them on. Sometimes an appliance may need to run for some time before it trips the switch. If the breaker trips again, unplug the appliance and have it repaired. The GFCI may have tripped also. As I said earlier, this is caused by an electrical leak to ground and you need to check for evidence such as water in an appliance, damaged insulation on a flex allowing a leak (common when an extension lead runs across grass outdoors) or possibly a water heating appliance may have a damaged element. Once you have identified and removed the fault, push the switch on the GFCI upwards. Hi Dee Dee. Usually the gas or oil feed will shutoff if a sensor doesn't detect a flame, however for absolute safety, it's probably best to turn everything off (fuel and electricity) until you can get an electrician to check out your stove. My stoves burner control indicator is staying on, the burners are cool but I want to know if this will cause a fire. Hi Peter, I think I heard Dr Karl going on about this on BBC or ABC's Triple J channel. Supposedly switches are turned on or off sideways in Japan so that falling objects during an earthquake can't turn the switch on! It gets confusing here in Australia because the 'normal' switch to turn a light/power point to the 'ON' position is pushed downwards. However to reset the 'Circuit Breaker' one must push it upwards. There appears to be a difference between the European and American system for resetting breakers. I asked someone about this before publishing the hub but I was misinformed so thanks for the info and pulling me up on the error!